(Bloomberg) -- Chancellor Angela Merkel made a forceful pitch for Europe to play a more assertive role in global affairs as U.S. President Donald Trump dismantles the post-World War II order, setting the stage for a potential tense standoff at the Group of Seven summit this week. 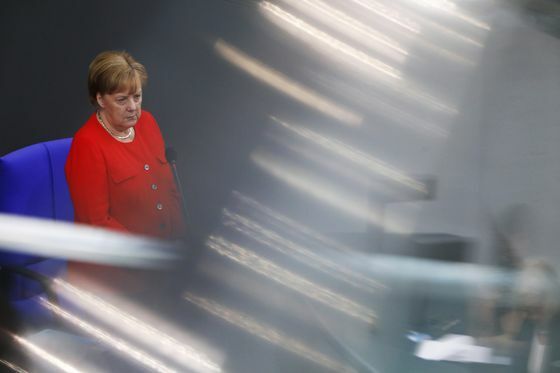 The 28-member bloc -- soon to lose the U.K. after the 2016 referendum to exit the EU -- managed to grapple with a financial meltdown and the biggest influx of refugees since World War II only with “great effort,” Merkel said. “But we don’t have a sufficient foundation to confront crises of the future,” she added, underscoring her push for reforms. The effort involves resolving tensions over migration. The contentious issue has driven a wedge between states calling for asylum seekers to be distributed within the bloc and those -- particularly in central and eastern Europe -- insisting migrants must be kept out. “I’ll tell you very openly and deeply seriously, if we don’t manage to form a common response to illegal immigration, then certain foundations of the European Union will be placed in question,” Merkel said, citing freedom of movement across the EU’s borders.